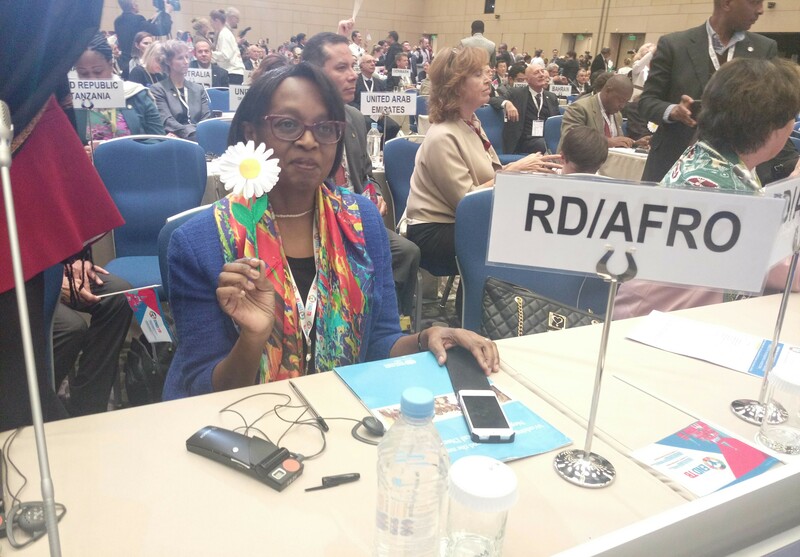 23 November 2017 - World Health Organization (WHO) Africa Regional Director, Dr. Matshidiso Moeti recently attended the first WHO Global Ministerial Conference on ending TB in the sustainable development era – November 16 to 17, in Moscow, Russian Federation the Conference was aimed at accelerating the implementation of the “End TB strategy” by ensuing national and global commitments, deliverables and accountability. It was jointly organized by Russia’s Ministry of Health and WHO. On the margins of the Conference, Dr. Moeti addressed African Ministers of Health at an African Union Commission (AUC) session on a Common African Position to the UN General Assembly High Level Meeting on Tuberculosis planned for September 2018. She requested that the meeting be taken as an opportunity to discuss evidence-based actions to end TB in the region, to attain success in the Sustainable Development Goals (SGDs). Dr. Moeti observed that even though Africa had made significant progress in controlling TB, with only 14% of the world population, the Region accounted for a quarter of exiting TB cases; 16 of the 30 global TB High Burden countries were in the region; TB incidence rates of the region remain the highest; and the current rate of decline of TB incidence was not adequate to end the epidemic by 2030. She also noted that only half of existing cases were being diagnosed; coverage with diagnosis and treatment services was below 50%; high TB/HIV co-infection rates remain a significant risk factor for infection and disease; more and more countries were reporting drug resistant TB cases while only 68% are accessing treatment, 59% of which are cured, as opposed to a target of 75%; and that domestic financing of TB Control programmes accounts for only 26%, while 41% of TB budgets remains unfunded. 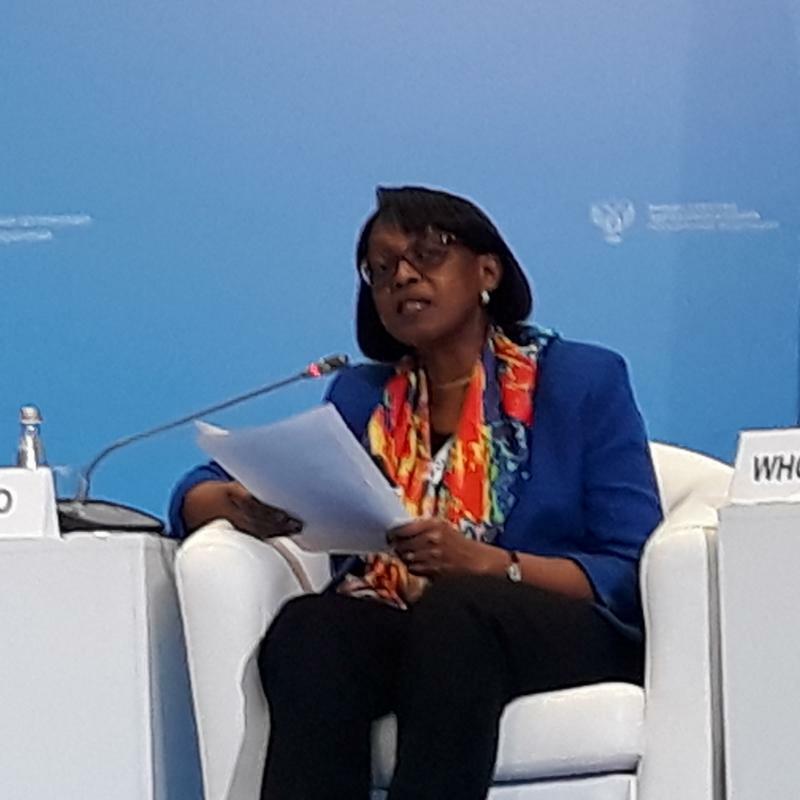 She therefore called on the Ministers and delegates to agree on tangible actions to remedy the remaining challenges in order to achieve the desired outcome of ending TB by 2030. Specifically, she called for political will at the highest level to provide political and domestic investment stewardship beyond declarations; for decisive action towards increased domestic financing of TB control activities and commodities; universal coverage with modern high yielding diagnostic tools, quality assured modern medicines and regimens, and social protection for all; strengthened health systems; and multisectoral, civil society and community engagement. Last but not least, she called for country level accountability frameworks with regular report back mechanisms with or through the AU and sub-regional Economic Communities (RECs). She assured the Ministers and representatives that her office and the entire WHO Office for the African Region would provide and help leverage the necessary technical support to facilitate the task at hand, in order to end the TB epidemic in the region by 2030.